Talking about the film, DJ Snake says, "Playing the roof of the Arc de Triomphe was a moment I wanted to keep forever so when Beats asked me if they could make a short film about that night, and my journey to that point... it was easy to say yes." The latest chapter of Beats by Dr. Dre's "Above the Noise" campaign captures Geffen Records artist DJ Snake's performance on Paris' legendary Arc de Triomphe as well as a look for the first time at the journey that took him there. DJ Snake was the first performer ever to play atop the roof of the iconic French landmark on Sept 6th. Directed by Colin Tilley, this film maps his incredible journey where he talks for the first time about how he rose from the streets of Paris to be one of the world's biggest performers and producers, and his love for the country he came from. 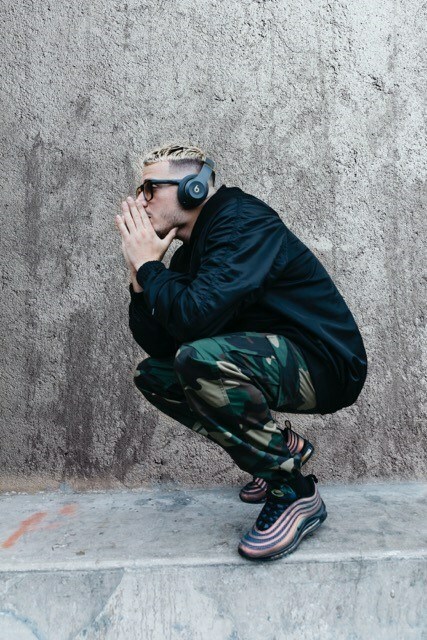 "Above the Noise" is Beats by Dre's latest global campaign featuring the newly launched Beats Studio3 Wireless headphone. The campaign tells the stories of the world's groundbreaking and often controversial artists and athletes. Previous spots have starred Kris Wu, Yasiel Puig and Conor McGregor.